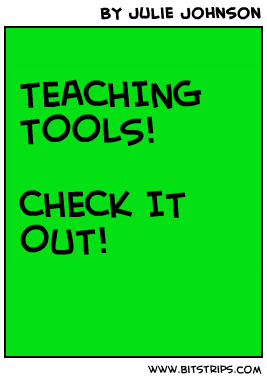 Better Than Worksheets: TEACHING TOOLS: Pop Lit Website! TEACHING TOOLS: Pop Lit Website! I was inspired this summer after reading this Ministry of Ed booklet “Me Read? No Way: A Practical Guide to Improving Boy’s Literacy”. This booklet recommends using pop culture, multi-media, art & music to engage reluctant readers (especially boys)—to which I thought, why not put all of that on a website? Perhaps as an all in one, paperless, easy to access literacy workstation for the regular classroom? While it targets low/disengaged students (the vast majority of whom are boys), it is also meant for all students, male and female. It can be used as a literacy workstation—or as a whole class lesson on the Smartboard or via the laptop cart. ...and more! However, instead of books, students are using 'a broad range of narratives' (Me Read? No Way pg 11) such as music videos and cartoons. It also provides basic computer skills, EQAO practice (I’ve designed many tasks to resemble those on our Gr. 3 standardized test) & media literacy. It uses google docs and is thus completely paperless. I included MP3 audio clips of text to support the low readers. I’ve listed the first 3 tasks to provide ready examples but in September it will start with Task 1. Tasks will of course vary as the year progresses (I’ve designed it to be initially repetitive, to build familiarity.) And I have tons of content so it could last for the full term or the full year. Though I have yet to implement this workstation, and don’t know yet how successful it will be—I feel like giving myself a big pat on the back for this clever idea! And I have technology to thank. Without it, it would be much more difficult to showcase popular culture in the classroom. I’d be rolling in the TV and VCR and putting cartoons onto overheads. Instead, thanks to youtube.com (enabled by dipdive.com) and googlesites I am able to present all kinds of media content for educational purposes on my own specifically designed website! Technology is certainly making it easier to tailor-make specific, supportive resources!